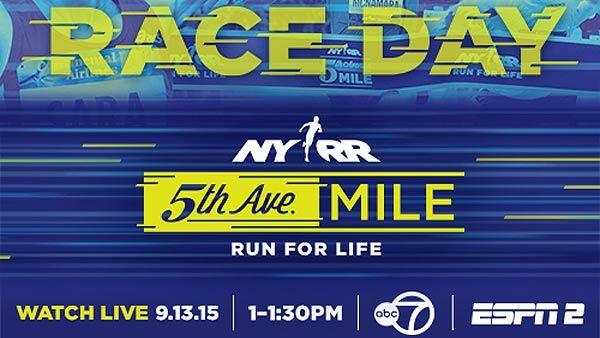 Watch the NYRR 5th Avenue Mile here on abc7NY! NEW YORK -- Six thousand runners and thousands more supporters turned out for the 2015 NYRR 5th Avenue Mile on Sunday! You can watch it all right here on demand, on abc7NY! Watch part 1 of the one mile race! 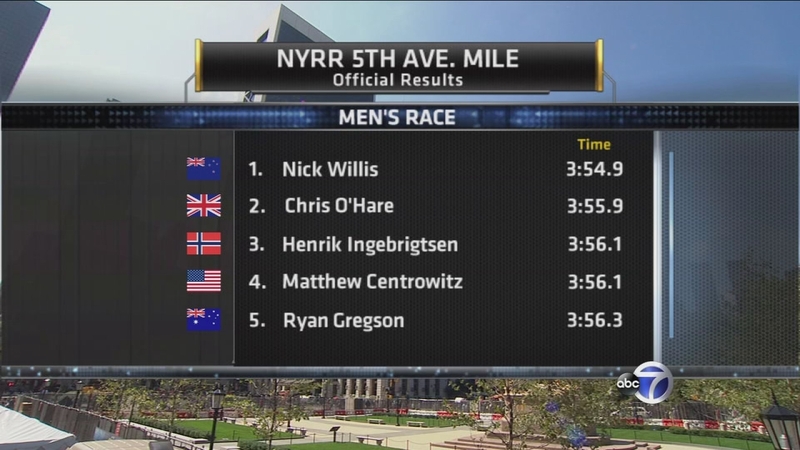 New Zealand's Nick Willis won his race handily; the third time he has taken the title in the NYRR 5th Avenue Mile. Defending women's champion American Jenny Simpson won her race: The first person to ever win the event four times (2011, 2013, 2014 and 2015). She led an elite field of runners, including past champions Shannon Rowbury, Matthew Centrowitz, and Bernard Lagat of the United States at the 35th annual edition of the run. Watch part 2 of the one mile race! "From kids to seniors, to the new Youth Wheelchair Invitational Exhibition, the NYRR 5th Avenue Mile celebrates runners of all ages and abilities," said Michael Capiraso, president and CEO of New York Road Runners. "Six thousand runners will make the trip down 5th Avenue past people cheering from the Met at 80th Street to Grand Army Plaza at 60th Street. The event is really about a community coming together to share in the excitement of a unique New York day and one of NYRR's most prestigious events." Watch part 3 of the one mile race! Simpson, 29, of Boulder, CO won the 2011 IAAF World Outdoor Track and Field Championships at 1500 meters and returned to take the silver in 2013. In 2014, she captured the IAAF Diamond League series title at that distance. Simpson has a 1500-meter personal best of 3:57.22, the third-fastest American performance in history. Watch part 4 of the one mile race! 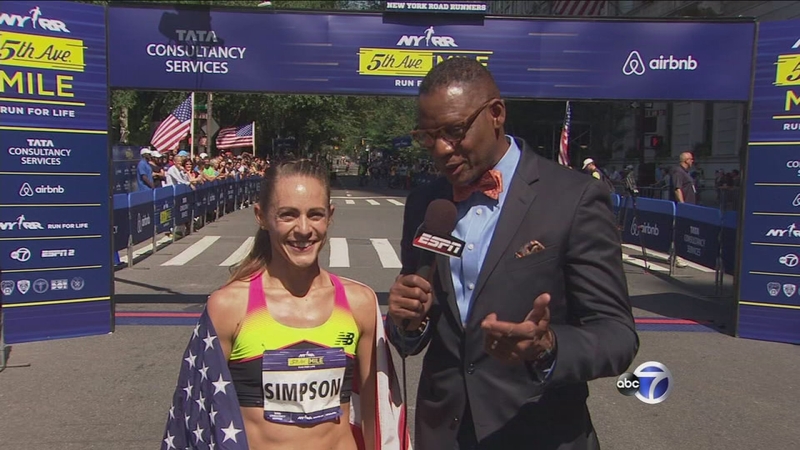 "For the fifth season in a row, I can't wait to finish my racing calendar at the NYRR 5th Avenue Mile," said Simpson. "After countless miles run all around the world, I can't wait to return to the USA and race my final mile of the year in front of a home crowd. Rowbury, 30, of Portland, OR, broke the 32-year-old American 1500-meter record this summer with a 3:56.29 performance in Monaco. She earned a bronze medal at the 2009 IAAF World Track and Field Championships in the 1500 meters is a two-time Olympian. Rowbury, the 2009 and 2010 NYRR 5th Avenue Mile champion, is the former 2-mile indoor American record- holder and a four-time national champion in the 1500 meters (2008, 2009), indoor 3000 meters (2008), and the road mile (2009). "I am thrilled to be ending my season with the NYRR 5th Avenue Mile," said Rowbury. "New York Road Runners has a history of putting on the world's top road races and I always love being a part of their events. After a long season on the road, racing on home soil is a great pleasure." Centrowitz, 25, of Portland, OR, captured the bronze medal at the 2011 IAAF World Outdoor Track and Field Championships 1500 meters; he improved to silver in 2013, and finished fourth in the event at the 2012 London Olympics. Centrowitz, the 2012 Fifth Avenue Mile champion and 2012 and 2015 NYRR Wanamaker Mile champion is the third-fastest American of all time in the 1500 meters (3:30.40). He won the USA outdoor 1500-meter title in 2011, 2013, and 2015. "I love running in New York and look forward to my third NYRR 5th Avenue Mile," said Centrowitz. "This will be my third race in New York this year. I won the NYRR Wannamaker mile at the Millrose Games and ran an 800-meter PR of 1:44 at the New York Diamond League meet. I hope this one goes as well. I have lots of family on the East coast and they always come out to support, which means a lot to me." Former New York Giants running back and radio personality Tiki Barber ran in one of the day's mile races. 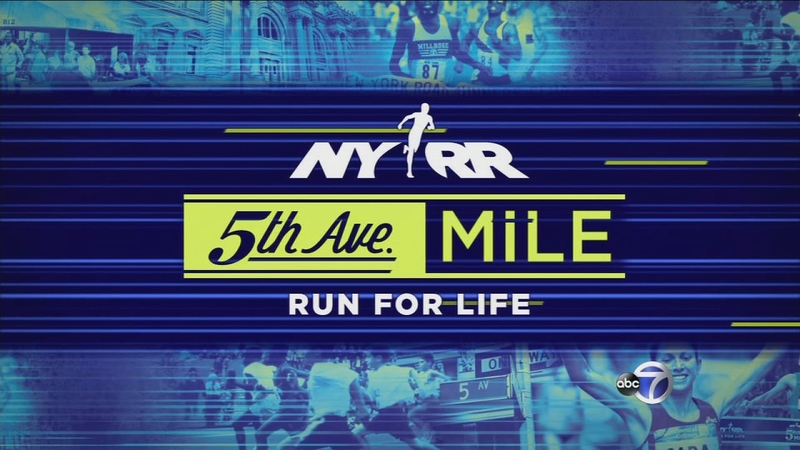 For more information about the NYRR 5th Avenue Mile, visit the event webpage at www.nyrr.org. Media information can be found before race day on the NYRR online media center, including professional athlete fields and a downloadable media guide. Founded in 1958, New York Road Runners has grown from a local running club to the world's premier community running organization, whose mission is to help and inspire people through running. NYRR's commitment to New York City's five boroughs features races, community events, youth running initiatives, school programs, and training resources that provide hundreds of thousands of people each year, from children to seniors, with the motivation, know-how, and opportunity to Run for Life. NYRR's premier event, and the largest marathon in the world, is the TCS New York City Marathon. Held annually on the first Sunday in November, the race features 50,000 runners, from the world's top professional athletes to a vast range of competitive, recreational, and charity runners. To learn more, visit www.nyrr.org. professional athletes to a vast range of competitive, recreational, and charity runners. To learn more, visit www.nyrr.org.